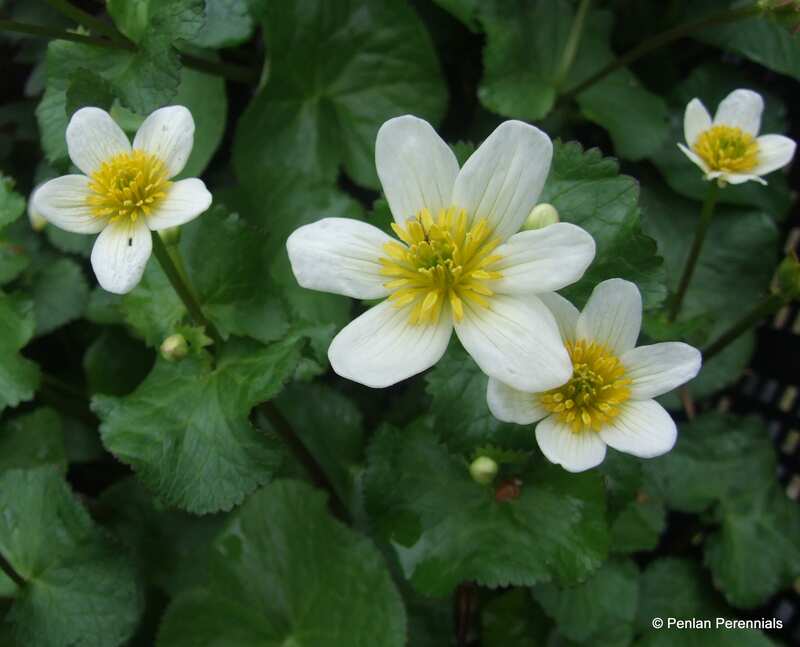 This is the white flowered form of marsh marigold, which can be quite variable in size and will often start flowering in late February. It prefers a slightly drier situation to Caltha palustris and is best used at the water’s edge as a waterside plant, rather than as a marginal. Native, ultra hardy and very easy to grow, it will often re-bloom in September. Pot size 1.5 litre. Tidy old foliage in late winter or very early spring as you see new buds appearing. Sow seed or divide in late winter.